Khorshed Irani was one of Meher Baba's earliest and closest women disciples. She first saw Meher Baba in 1922 when she was just twelve years old. The following year Baba introduced her to Mehera J. Irani, His Beloved, and they immediately became best friends. She was one of the few mandali at the end of the twentieth century who remembered Baba’s indescribably beautiful speaking and singing voice. 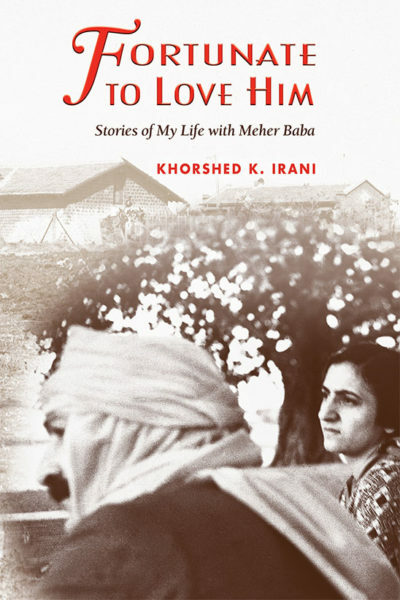 Khorshed's stories are about an incredible life – one that was dedicated in love to God as Meher Baba. Her life with the Avatar was extraordinary and filled with intense challenges and hardships. As Khorshed said, “Our life with Baba had everything – fun, trouble, and love.” Her single-pointed love, dedication, and obedience to Meher Baba, through thick and thin, as well as her inner strength and motivation to be near Him, distinguishes Khorshed as one of the great souls who served the Avatar of the Age. Fortunate to Love Him was compiled from video and audio recordings of Khorshed telling her life stories during the 70s, 80s and 90s. Secondary sources included notes from interviews with Khorshed as well as her personal diary translated from Gujerati. Included are over 170 photographs illustrating this most precious life lived for her Beloved. Khorshed Irani was one of Meher Baba’s earliest and closest women disciples. She was born on May 2, 1910, and she loved Baba from the moment she first saw Him on May 9, 1922. 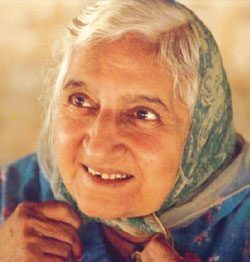 Khorshed devoted her entire life, from that moment on, in love and service to her Beloved Baba, until she passed away on August 4, 1999. Baba often visited Khorshed and her parents in their family home in Bombay during the early 1920s, and Baba instructed the three of them to be with Him at Manzil-e-Meem every day. Khorshed had the joy of hearing Baba speak and sing for more than three years before He began His Silence. She was one of the only mandali at the end of the twentieth century who could remember Meher Baba’s indescribably beautiful voice. In August, 1923, Baba introduced Khorshed to Mehera J. Irani, His Beloved, and they immediately became best friends. Baba told them that, not only were they best friends in this life, but they had been with Him as best friends in many lives before. Baba said that in this Advent of the Avatar, Mehera is playing the role that Radha played as Krishna’s Beloved, and that Khorshed is playing the role of Radha’s best friend, Chandrika. Beginning in 1924, Mehera and Khorshed lived with Baba as close companions under His orders. 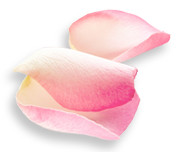 Although Khorshed's family was wealthy and could have provided her with the many pleasures of this world, she traded them all without a second thought, in order to be with her Lord. Khorshed’s single-pointed love, dedication, and obedience to Meher Baba, through thick and thin, as well as her inner strength and motivation to be near Him, distinguishes Khorshed as one of the great souls who served the Avatar of the Age.